Mankind has always been fascinated with flight. The legends and myths dominating human history show a longstanding desire to soar through the air. This dream has only been a reality for a little more than a century, beginning with the first powered flight on December 17, 1903, at Kitty Hawk, North Carolina. Taking flight is now a reality for everyone, and learning to do it is merely a commitment away! The Polk State College Aerospace Program respects this early history, acknowledges the current challenges in pilot training and professional aviation, and looks excitedly toward a future of new possibilities and opportunities. Students in this program certainly do learn to fly, but this is actually the easy part. The struggle is in the continuous development and application of an unwavering safety mindset—a mindset that makes the individual not just a pilot, but a professional pilot. 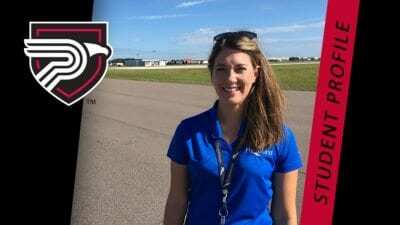 Regardless of which avenue(s) the student chooses in pursuit of an aviation career, the knowledge, skills, and attitudes learned at Polk State College prepare the individual to successfully achieve his or her goals. Like all commercial (and many private) aviation operators in today’s aerospace environment, the Aerospace Program at Polk State College embraces the concept of a Safety Management System (SMS) as a quality management approach to controlling risk. Therefore, all curricula and aviation activities follow the guidance put forth in the Federal Aviation Administration Advisory Circular 120-92, “Introduction to Safety Management Systems for Air Operators,” and the International Civil Aviation Organization (ICAO) Document 9859, “Safety Management Manual (SMM).” The policies and procedures in these documents provide the organizational framework to support a sound safety culture, both for pilot training and for professional pilot operations in the National Airspace System. Students in the program train under the same operational requirements that apply to the companies they will one day work for. Again, graduates from the program will not just be pilots—they will be professional pilots. The Polk State College Aerospace Program is fundamentally different than the traditional pilot training model. The traditional model, developed in the 1930s and 1940s, focuses on repeated practice in an airplane. This is also referred to as maneuver-based training. 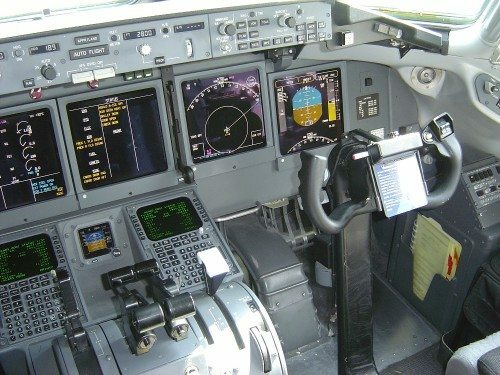 While this training method has produced pilots for many years, it was developed in a time when airspace, avionics, and aircraft, in general, were far less complex than they are today. The aviation training industry has made improvements to this training system over the years, but airlines and other employers of pilots have advanced at a much faster rate. Advanced training programs focus on scenario-based training and human factors associated with piloting. Recognizing this shift, the Polk State College Aerospace Program utilizes a cutting-edge approach to pilot training that takes into account the advances in technology and educational research over the last 70 years. Because the program takes an entirely practical approach to pilot training, aviation theory and experiential instruction are integrated into the on-campus and flight curriculum. While this approach to flight training is admittedly and markedly different than what might be seen in other programs, the instruction received makes individuals better, safer pilots and creates more desirable candidates for employers.